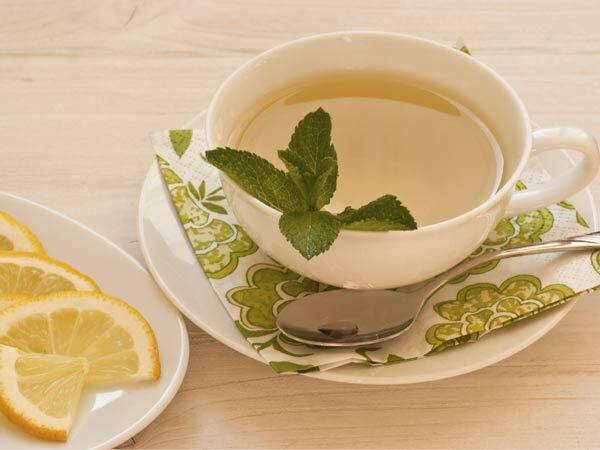 All About Food: Is Green Tea Really Good For You? You've heard the claims. It can cure cancer, you'll lose weight, and it's just really good for your heart. but is green tea really good for you? Yes, actually, it is. The list of health benefits for this drink is incredibly long. It's really great for your heart, not only because it relaxes your arteries and lowers your blood pressure, but because it increases your metabolism which helps you lose weight. It's also good for your teeth (as long as you aren't adding lots of sugar and cream) because it contains fluoride and tannins which keeps your teeth and gums healthy and strong. There is good bacteria, and there is bad bacteria. Green tea helps slow down the growth rate of the bad bacteria, which gives the good room to grow. This good bacteria can help prevent things things like viral strains of e coli. While tea does have caffeine in it, it's much less than coffee, to the point that it really becomes minimal. You can slowly drink all throughout the day without experiencing any side effects, which definitely cannot be said for coffee. So what is it about this drink that makes it so healthy? It's actually made from the same plant as black, but the fermenting process is different, and it keeps more of the nutrients inside that get leeched out of the black. Green tea is full of antioxidants, but EGCG, which stands for Epigallo catechin gallate, is the strongest one by far. This antioxidant actually has more of an effect than vitamins C or E on your health. Every type of tea actually has antioxidants polyphenols, but green has the strongest of this nutrient, too. With all of these health benefits this stuff must taste pretty awful, right? Wrong. Green tea only tastes awful when it's prepared incorrectly! Over boiled water in general tastes awful, but with this drink, it ends up an awful bitter taste, which makes a lot of people think they dislike this drink. It's not meant to taste this way. When boiled to the proper temperature, which is one hundred and sixty degrees Fahrenheit for this drink, and steeped for the proper amount of time, this drink will taste great. Not only is it important to prepare this drink correctly for the taste, but also for the health benefits. When prepared incorrectly the health benefits listed here won't be as strong because the nutrients will cook out. So, is green tea really good for you? Yes, when prepared correctly, it can have amazing benefits for your health.